Transition Projects Inc. plans to construct 72 units on Portland Development Commission land after tiny-home pilot project in Kenton ends. There's a lot planned for a plot of land in North Portland's Kenton neighborhood. Transition Projects Inc. — the county's largest homeless shelter provider — has signed a letter of intent with the Portland Development Commission to develop land, which is also planned for 14 transitional tiny homes for homeless women, for a future "innovative affordable housing project." Tyler Roppe, Kenton Neighborhood Association president, says the neighborhood received notice yesterday, Monday, Feb. 27, that the nonprofit had signed the letter after eyeing the site at 2221 N. Argyle St. for the last year. Transition Projects Inc. Executive Director George Devendorf confirmed with the Tribune that they are planning to break ground at the site by spring 2018 as long as they can secure funding. The site is already in the works by the city, county and a number of other organizations to potentially be used for a yearlong pilot project: the POD (Partners On Dwelling) project, which would house 14 women in tiny homes with the intention to transition the women into permanent housing. Organizers of the POD project have said that they won't go forward without neighborhood support. A vote is scheduled for March 8. Though prospects for the project have mostly been looking bright, Roppe says that Transition Project's development could change how people vote at the March 8 meeting. 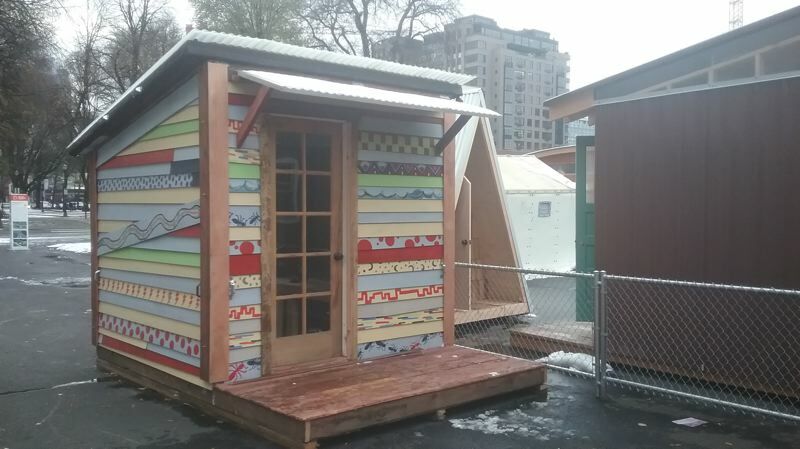 Organizations and entities including Village Coalition, Catholic Charities, Portland State University and the Joint Office of Homeless Services have been working to win over the neighborhood's support for the tiny home project after the proposal was initially introduced to the neighborhood with little notice. Plans to install the homes were pushed back from February after the neighborhood wanted more time to digest the proposal. Though Portland Development Commission always intended to develop the land outside of the tiny-home project, Roppe says they will have to adjust ballot language to include Transition Project Inc.'s plans so that the neighborhood knows exactly what they're voting on. He's worried that the POD village could interfere with the affordable housing project. "If this POD village proposal goes forward, we don't want the project to interfere or delay any development of the site," he says. 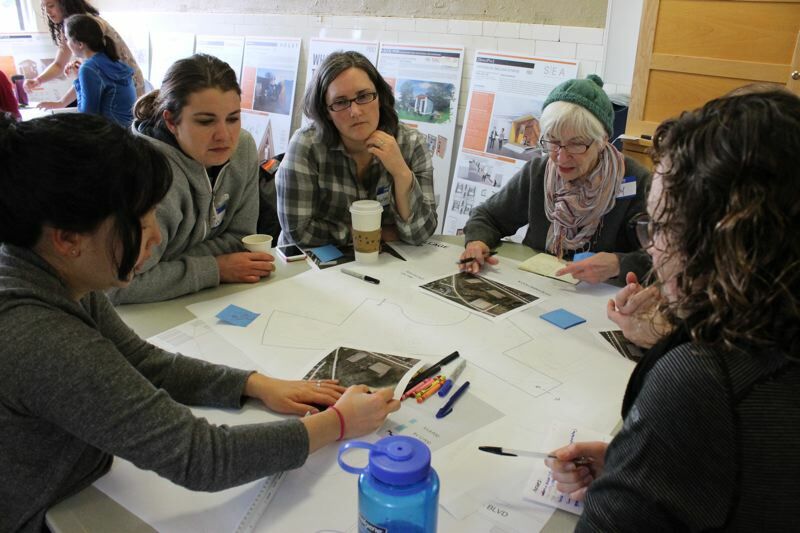 "I think most neighbors would agree that if we can have the site developed as an affordable housing project, that's a better long-term solution than the POD village." Though he couldn't confirm for certain, Devendorf says the Kenton POD project shouldn't interfere with their development, and that it's actually part of their negotiations with the city and Portland Development Commission. "We've spoken of provisions that would ensure that this POD pilot as early as a year from the time its developed would essentially stand aside when we're ready to stick a shovel in the ground," Devendorf says. "And the thinking behind that is we wouldn't be ready for at least a year, so that doesn't conflict with what the previous and current mayor have planned." Roppe remains skeptical because although the POD project has always been intended as an interim pilot project, he fears that once the time is up, that it could be a difficult to actually "move" the project, recalling broken promises of movement of sites like Right 2 Dream Too or Hazelnut Grove. Organizers recently held an open house about the POD project where Roppe says neighbors were worried that it will be difficult after a year for people to actually transition out of the tiny homes. "We're hoping project organizers have a comprehensive strategy for transition off the site," says Roppe. Trell Anderson, director of community development and housing at Catholic Charities, the organization selecting the women who will live in the tiny houses, says Transition Projects Inc. will keep them informed of their development schedule "so we can ensure that all the women of the village will be transitioned into permanent housing along that time frame." Anderson adds, "As homeless services providers, I believe both Catholic Charities and (Transition Projects Inc.) would work together if any extra effort may be needed in the event of a time crunch. No person will be left unhoused." Village Coalition leader Vahid Brown says those concerns can be addressed, and that partners involved will work so that the POD project won't interfere with the affordable housing development. "This will be an example of how such developable lands can be used in the interim for innovative low cost transitional housing programs," Brown says. He adds that all involved desire "successful development of all currently slated affordable housing plans." Roppe says the two projects may be able to co-exist, but future renewal of the POD project seems unlikely with Transition Projects Inc. development timeline. Devendorf tells the Tribune that the new project will bring 72 units of "very affordable housing for people who have ended their homelessness." "It's not transitional, not temporary, not a tiny house village — it's permanent housing," he says. They are pursuing a modular construction approach using a co-housing model, which is reliant on shared space, including hygiene and kitchen spaces. He says what's innovative about the project is the way that they plan to construct the units. "The units can be deployed on difficult parcels of all shapes and sizes to make maximum use of all land," Devendorf says, adding that it will be like multiple bedrooms in a large house frame. He says Transition Projects Inc. has worked with Meyer Memorial Trust on design and construction of the project. The units will be "decidedly small" to bring down long-term operating costs and will have an emphasis on cohousing so that people can interact on a regular basis. On how much it would cost, Devendorf says they haven't settled on a final price yet, and that they still have a "number of hoops to jump through." Though they are working toward funding and are pushing through the necessary processes, Devendorf says "thus far things look positive." The article was updated when the Tribune learned that it would be 72 units, not 70. Update: This story was updated to include a response from Catholic Charities, the organization selecting the women who will live in the tiny houses.